Nice Heads? Yep we got em!! Due to health reasons, the Grande Finale farm event the weekend of August 9 - 10 has been postponed. However, please contact us for private treaty sales. 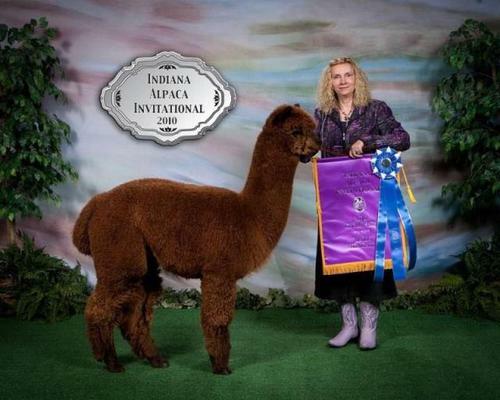 We are still offering exceptional alpacas, packages, and breedings for $1000! As the renowned mathematician Sir Isaac Newton once said, "If I have seen farther than others, it is because I have stood on the shoulders of giants." With this philosophy in mind, The Alpacas of Phantasy Pharm was founded in 1996. Following the advice of several "giants" of the alpaca industry, Debbie Patonai, a high school mathematics teacher for over thirty-five years, carefully selected her foundation herd. When she chose PPPeruvian Shannon, one of the first fawn Peruvian imports, along with other high quality Peruvian import females, the alpaca journey began. By using only championship herd sires with bloodlines from Royal Fawn, Camelot, Titan, Cordero, Dakotia, Bueno, Black Epic, Winchester, Donovan, Augusto, Quetzal, Silvio, Mesquite, Caligula, Jeremiah, Jericho, Goldsmith, and Revelation, all famous for their top quality fleeces, awesome coverage, and impeccable conformation, the equation for success was solved. 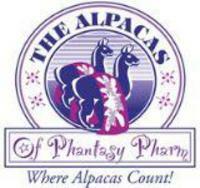 Today, six generations of award-winning alpacas reside at the Alpacas of Phantasy Pharm. 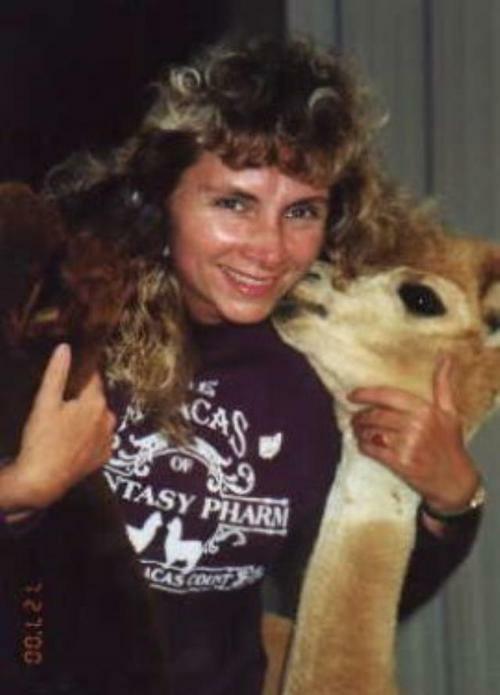 Besides colorful crias and championship bloodlines, The Alpacas of Phantasy Pharm also extends personalized service and ongoing sales support. All animals sell with the farm's full reproductive guarantee. In addition to alpaca sales and stud services,the farm also offers for sale raw fiber, alpaca apparel, and other assorted alpaca products. Creative financing packages are available. Remember Sir Isaac Newton, and have the vision to enhance the fiber, conformation, and temperament of your herd. To compliment your existing herd, factor the numerous variables The Alpacas of Phantasy Pharm can offer your breeding program. I am extending my personal invitation to schedule a visit to meet my outstanding current and future winners. 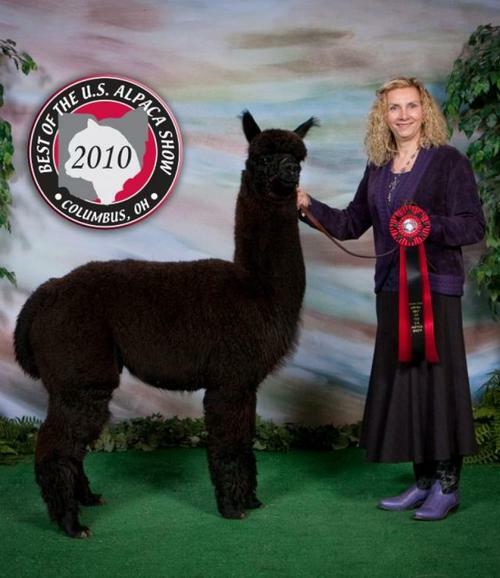 The Alpacas of Phantasy Pharm specializes in award-winning huacaya Peruvian alpacas. Stressing that quality is more important than quantity, the farm makes every effort to pay close attention to details, from breedings to nutrition and veterinary care to ensure a healthy, happy herd. 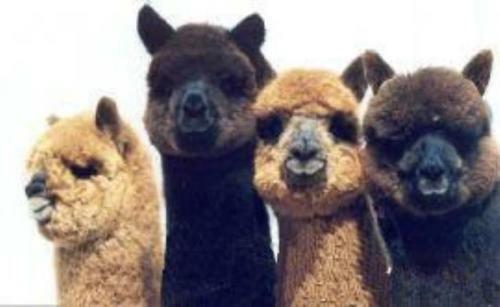 Lots of individual attention, care, and love nurture the unique personality and personal traits of each alpaca. When visitors arrive, they are greeted by a sea of curious faces and a flurry of alpaca kisses!